Giant: 5 FREE Kellogg’s Pop Tarts Pastries Starting 8/17! 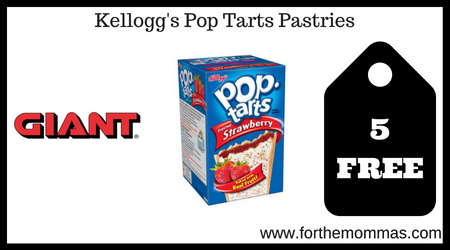 Starting 8/17, Giant will have Kellogg’s Pop Tarts Pastries for $2.00 each. 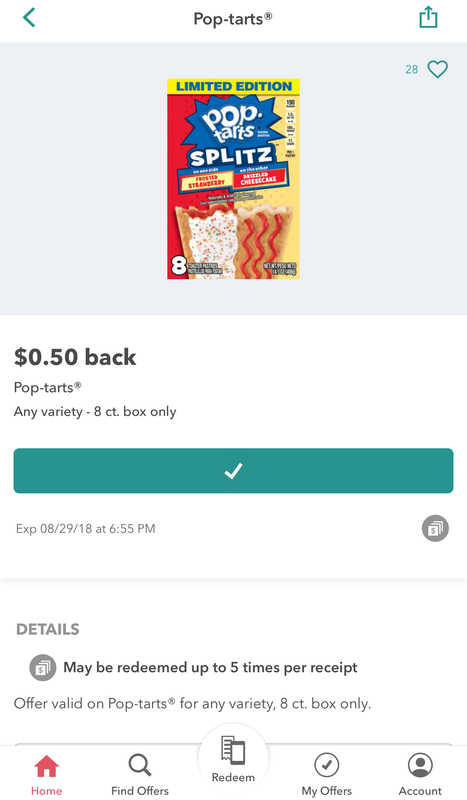 Stack a $2/4 Kellogg’s Pop Tarts printable coupon with a $1/1 Kellogg’s Pop Tarts printable coupon to reduce the price. Plus we also have an Ibotta rebate that will make the final price 5 FREE plus $0.50 moneymaker!